The welcome reception will be held in Moyzesova sieň (Moyzes Hall) on Sunday, September 4, from 18:00 to 20:00 (the registration on Sunday will be held at the same place). 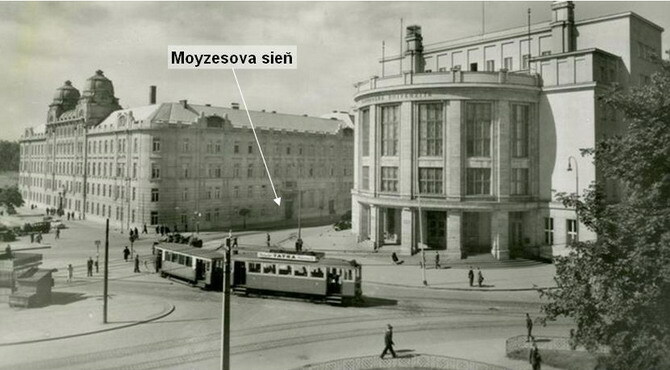 The Moyzes Hall is a large representative building on the Danube bank that belongs to Comenius University in Bratislava. Designed by Vienna architect Josef Rittner in the early 20th century, the representative hall is nowadays used for classical music concerts, various academic purposes and other public events. 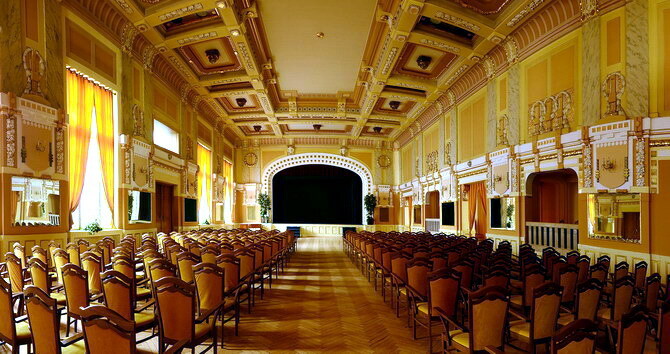 The richly decorated Art Nouveau Moyzes Hall is named after the Slovak composer Alexander Moyzes (1906-1984). To reach the welcome reception by bus, tram or trolleybus, plan your journey via www.imhd.sk website. The nearest stops to the reception venue are Šafárikovo námestie, Malá scéna or Nové SND (see the map below). For those who come directly from Vienna airport: To reach the venue from Most SNP (SNP bridge) where most of Vienna airport buses stop, take tram #4 or #6 direction east to Šafárikovo námestie (1 stop), or walk about 10 min along the Danube river. To reach the venue from the Autobusová stanica (main bus station) take bus #70 to Malá Scéna stop (2 stops) or trolleybus #210 to Nové SND stop (2 stops).